Money seems to vanish when we are in college. It is no surprise: for the first time we try to manage all our finances by ourselves, which often leads to colossal mistakes. At the same time, college is expensive by its own, and quenching the need for entertainment when we are young even more expensive. How can we make a few extra bucks quickly? Look for ads in your area of families in need of a “sitter”. Whether it is a baby girl, a couple of twins, pooches, a koala or just a house that needs to be taken care of, the job is waiting for you. Kids might be a bigger responsibility and a challenge, but a dog only needs feeding and walking. A house is the perfect choice, a live-in possibility that will even give you a chance to study for exams in the meantime. 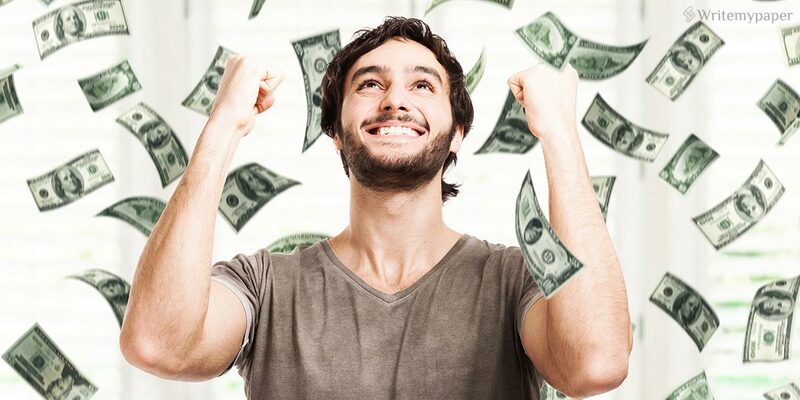 Usually such propositions pay well and are less stressful than other part time jobs, so do not miss out on the opportunity to earn a little money. Some say it is hard to balance school work with working part time, but in fact it all depends on your job. You can choose your shifts in such way that you only work a few hours each week, or take freelance projects to complete while comfortably sitting at home. Becoming a vendor, a cashier, a cleaner, a barista or a waiter are not options to exclude while looking for income. Look for opportunities, work a little harder, and cash will come your way. Have you noticed how much of the stuff you own, you do not actually use? Clear your schedule for one day to reorganize your whole living space. Take two big cardboard boxes and label them “recycle” and “sell”, and try to fill them all up. Old books that are not valuable to you, old clothes that you have grown out of, cups, souvenirs, blankets, jewelry, toys – anything that you do not use, has a new place in one of the cardboard boxes. As soon as you get rid of the things, you will feel that your living space is much tidier and you can think more clearly now. In the meantime, the old goods will bring you new money. If you are looking for an apartment to rent instead of the noisy dorm, you might want to share the room with a friend or a few. Consider your options carefully and write a list of pros and cons about each choice. Sacrificing your personal space may be worth it, if your roommate can make your life easier. Make sure they are reliable and trustworthy before moving in together, and soon you will notice your wallet getting heavier from the cash you have saved. Are you good at creating something with your own two hands? Many people profit from their little crafts in considerable ways, once to learn how to sell them worldwide. Whether it is knitting, stitching, wood crafting, painting on t-shirts, candle making, making clothes, earrings, necklaces or hand painting cutlery, you can find a hobby that will keep you entertained, happy and secure in your finances. Rated 4.6 | 694 votes.